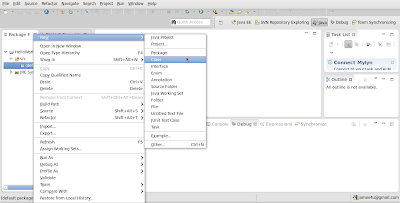 Java standalone application would be the easiest one to start when learning the language. 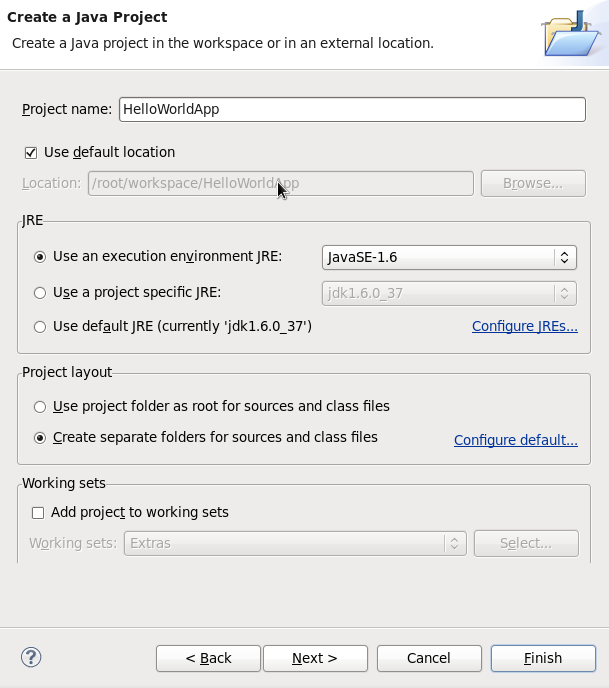 We will print "Hello World" text on the console as the first step. 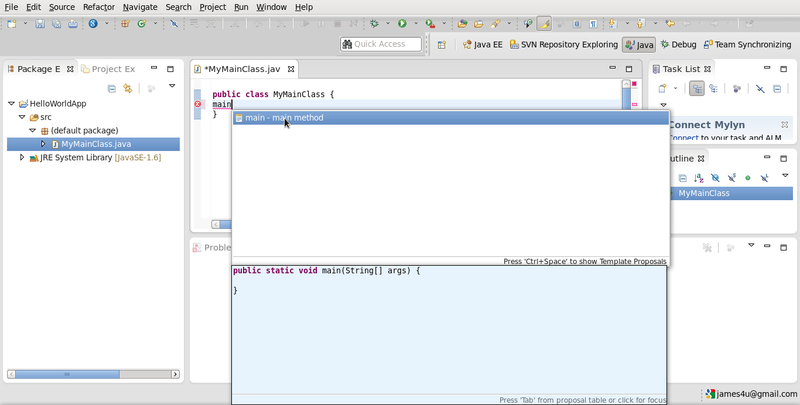 Java standalone applications should have at least a class with main method, in the right signature. 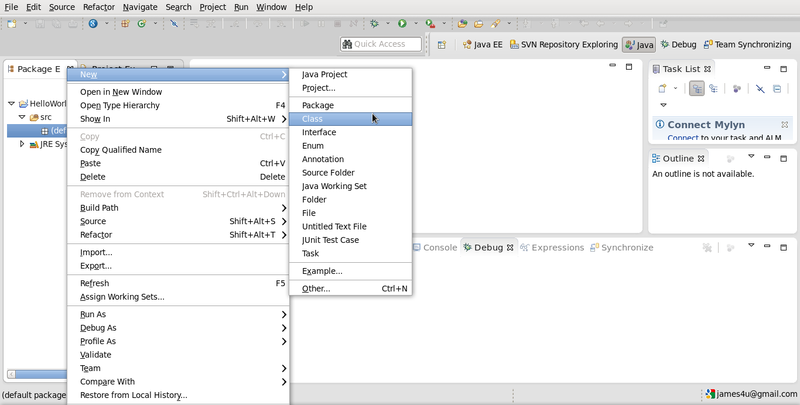 This is the first method that will take the handle of the application when called by Java Virtual Machine. Here we go. 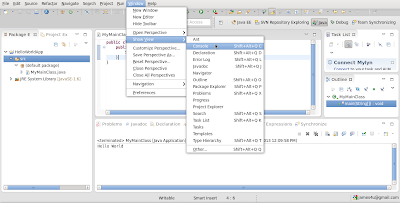 On your Eclipse IDE, click on File > New > Project. 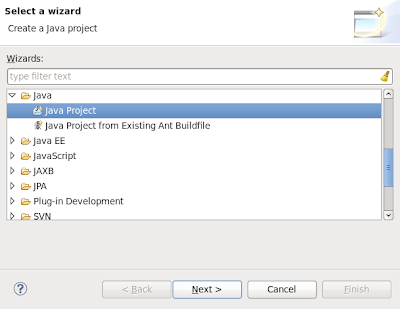 Choose Java > Java Project and click Next. 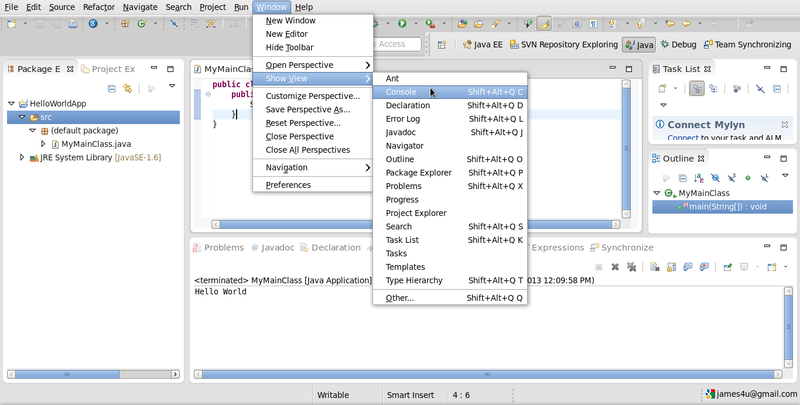 Key in the project name and click Finish. 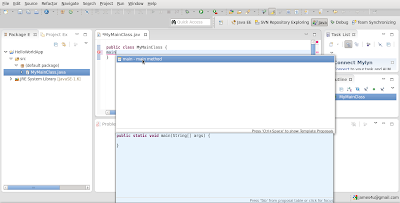 From the Package Explorer, right click and create new Class. Name your new Class. If you need to place the new Class in a package, fill-in the package name. Since this is your Main class, you can check "public static void main(String args)" under "Which method stubs would you like to create?". I would not select this option now. You will find your Main class being opened in the editor. You can type the entire signature of the main method or just type main, then use Ctrl + Space to show the proposed templates and choose main method to generate the main method. 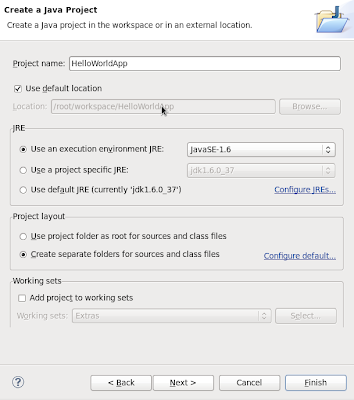 Type the statement to print "Hello World" statement on the output stream. That is, System.out.println("Hello World");. The template way to type the statement is sysout and using Ctrl + Space. Format the code snippet using Source > Format or Ctrl + Shift + F and save the file. 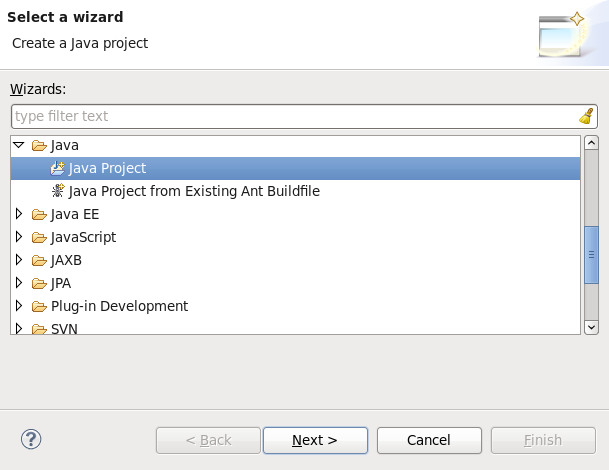 Right-click on the project or the class and use Run As > Java Application to run the file. See the console. If console could not be found, select to show it from Window menu.